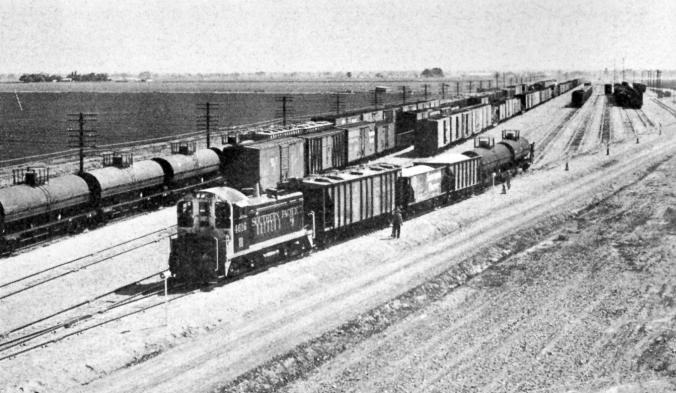 Shifting the yard to its new location required closing of one county road [presumably Chrisman Road] and extension of another [Brichetto Road, extended from F Street in Banta? ], but San Joaquin County highway officials cooperated in arranging relocation of little-used road facilities. 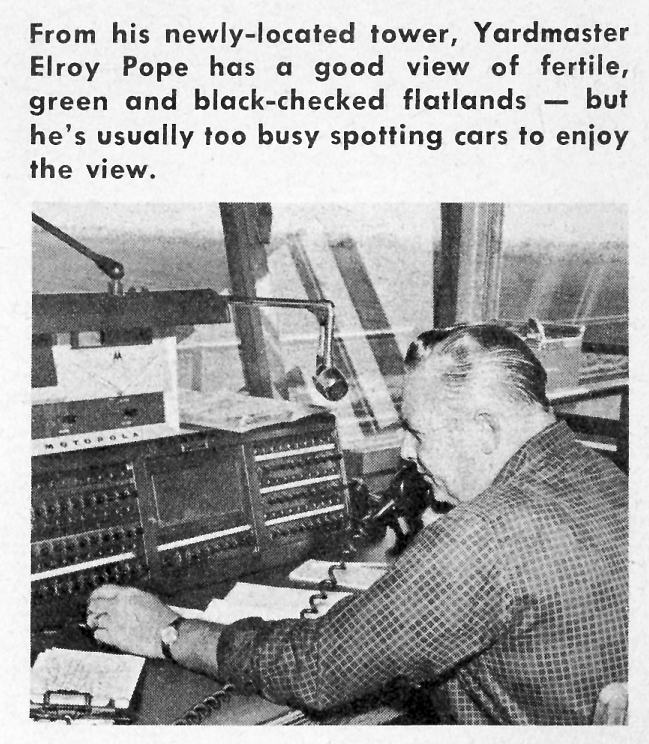 The 1961 Southern Pacific yard, now part of the Union Pacific Railroad’s operation here, does still see significant traffic at times, and also serves as headquarters for Harbor Rail Services‘ local freight car repair facility (near the corner of Chrisman and Brichetto roads). 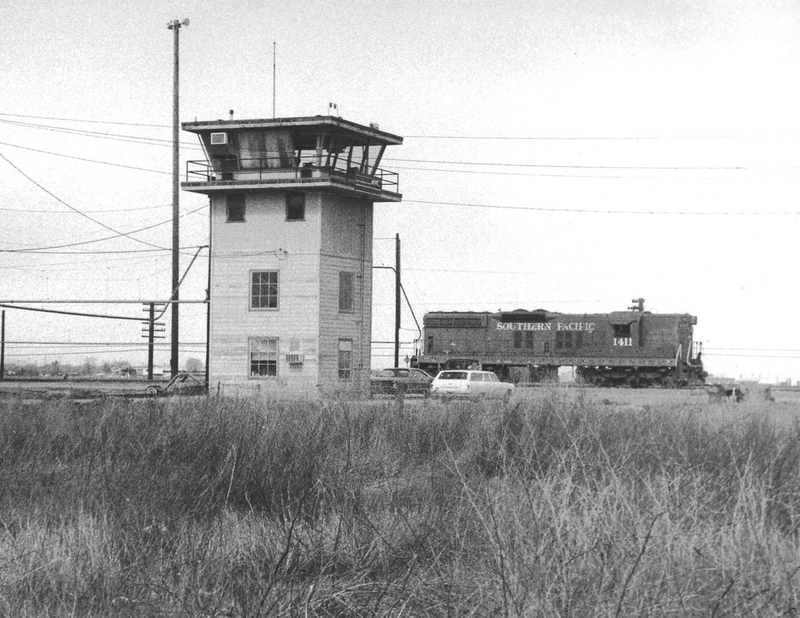 The second SP yard tower in Tracy as it looked in 1975. 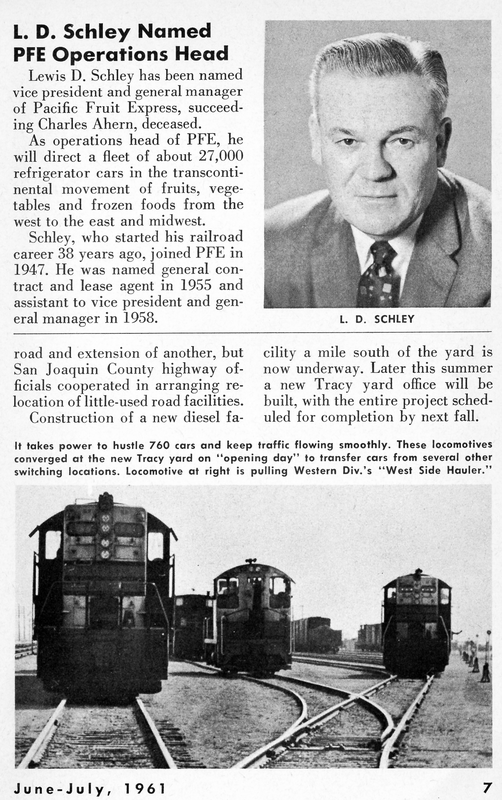 The new 1961 yard tower, once clearly visible just beyond the Eleventh Street overpass, lasted into the 1980s before meeting the same fate as its predecessor, which had been located downtown at Sixth and Central streets before being torn down. 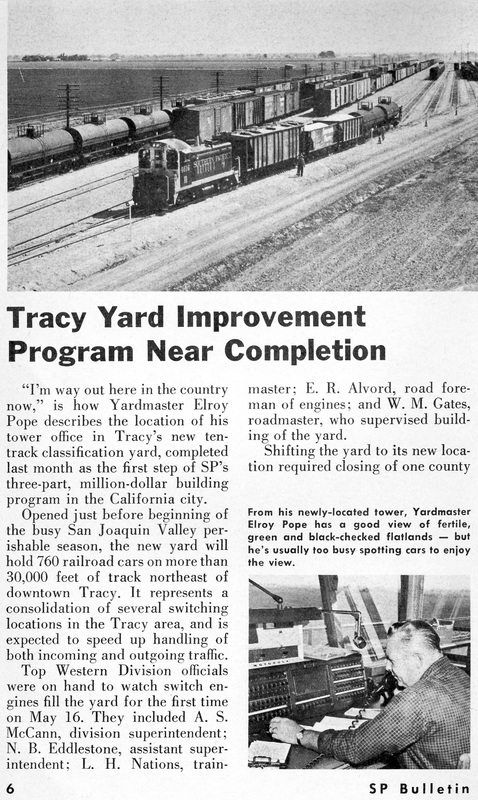 Special thanks to Tony Johnson for his generous permission in allowing us to include his photo of the “new” Tracy yard tower in this article.